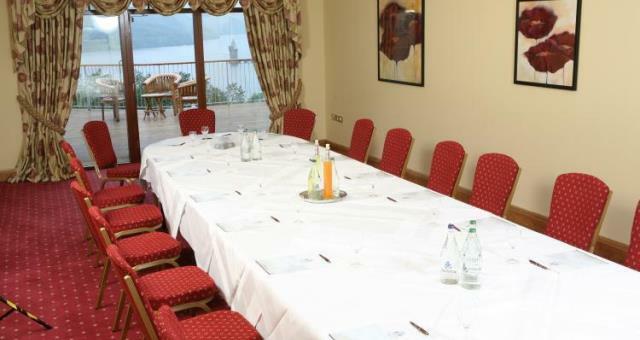 Business Events at Lake Vyrnwy Hotel & Spa01691 870692work Conference residential venueSeminars, board meetings, conferences, presentations all with a plus. This is the antidote to standard corporate hotels. You won’t daydream and wonder if you’ve arrived at a universal business hotel in London, New York or Singapore. This is very, very special: we’re in a 24,000 acre country estate, and the 52 bedroomed Lake Vyrnwy Hotel is unique. Dramatic, tranquil surroundings that stand out in a grey world. 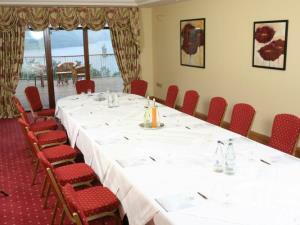 Our meetings facilities are carefully planned to a high standard. Whether your event is for 6 or 60, we understand the needs of the event planner—our organisers are here to assist you professionally and efficiently. Our events manager is a powerhouse of ideas, and she'll be happy to discuss the Off Limits, Vyrnwy Challenge and Experiential Learning packages. Talk to her, she'll recommend the scheme that meets your objectives. Team building, training events and more: from the gently challenging, right through to getting them dangling from ropes… we do wet and muddy so well if needs be.